Preheat oven to 350 degrees. 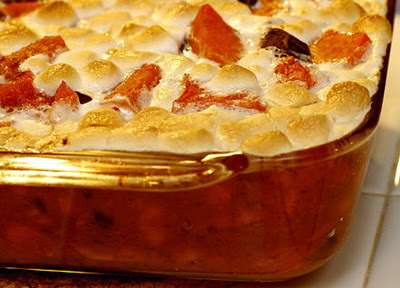 Place yams in a baking dish. In a separate bowl, combine the pecans, brown sugar, flour, and melted butter together and blend well. Sprinkle mixture on top of yams. Bake yams in preheated oven for 35-40 minutes. Hubby Rating: 10! This is a family hit at Thanksgiving. These yams are absolutely spectacular! Hope you enjoy!